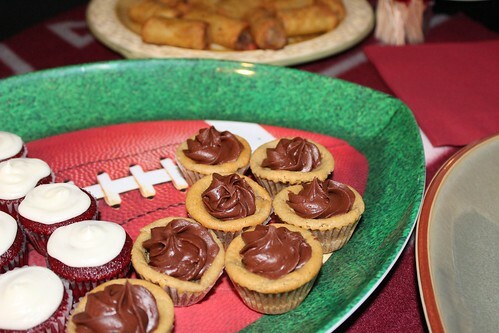 I've been really into bite-size desserts lately (the mini devil's food cupcakes with coconut cream frosting; the little sugar cookie fruit tarts). I think people are more likely to eat (and enjoy!) desserts when they're not super large and guilt-inducing. 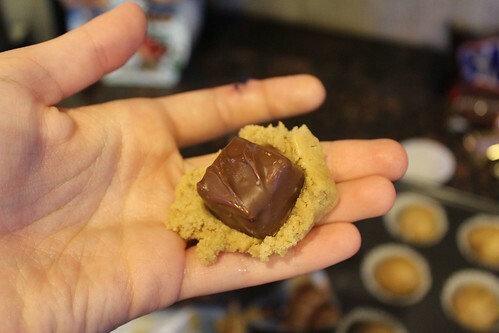 This recipe is quick-and-easy (it would even be great for kids to make! ), and it's one I come back to again and again! Recipe adapted from an old Pillsbury recipe pamphlet. Directions: 1. 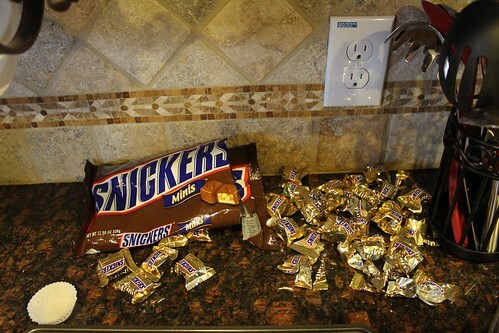 Cover each mini Snickers with a heaping tablespoon of cookie dough, rolling between your hands so the Snickers bar is completely surrounded by dough. 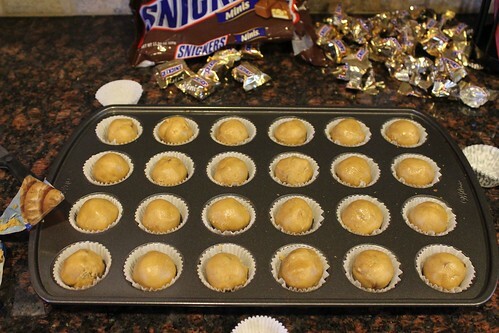 Place dough-covered Snickers bars into mini cupcake papers in mini muffin tins. 2. 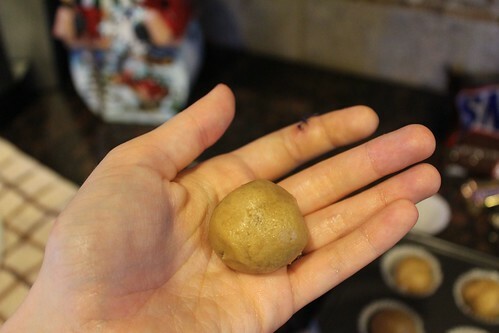 Bake at 375 for 9-14 minutes, or until golden brown. Cool completely. 3. 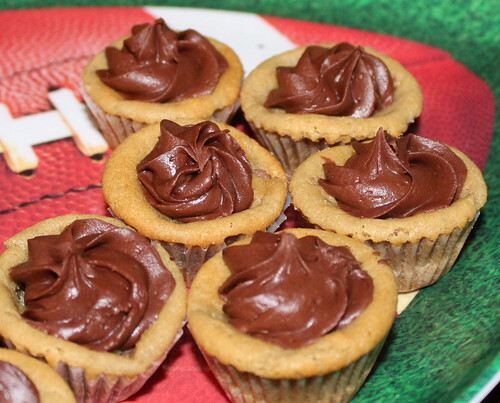 Pipe fudge frosting onto each cookie cup, and serve!